The Ahn Jung-geun Memorial Hall reopens after renovation. March. 14, 2019 08:05. by Wan-Jun Yun zeitung@donga.com. The Ahn Jung-geun Memorial Hall at Harbin Station in Heilongjiang Province, China will reopen on March 26, the day of the independence fighter’s death, after undergoing a renovation to expand its size. 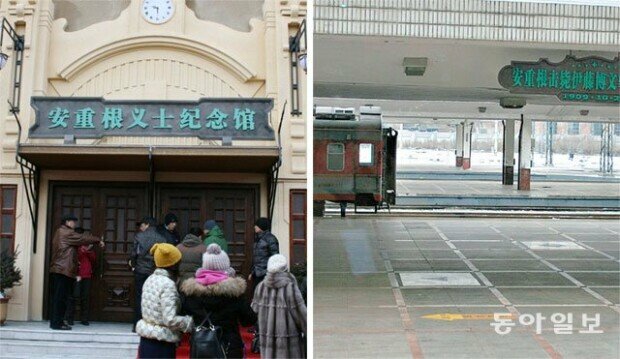 It has been two years since the Memorial Hall was suddenly closed in March 2017 due to the reconstruction of the Harbin station. A sign informing that the site is where Ahn shot dead Hirobumi Ito on October 26, 1909, will be restored as well. The Ahn Jung-geun Memorial Hall was constructed after Chinese President Xi Jinping had accepted former South Korean President Park Geun-hye’s request to set up a sign at the site, informing about the patriotic deed by Ahn during a summit between the two leaders. 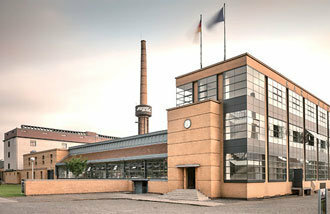 The Memorial Hall was located in the 200m² V.I.P. section in front of the Platform No. 1, where Ahn assassinated the Japanese statesman. Words first got out in early 2016 that China would double the size of the Memorial Hall and reopen it after the reconstruction work at the Harbin Station is finished. But concerns were raised that the Memorial Hall might not be reopened at the Harbin Station as the relations between South Korean and China soured due to the deployment of THAAD in 2016 and China-Japan relations improved rapidly last year. China has kept secret of the construction work to expand the site of the Memorial Hall. The exhibits, such as the bust sculpture of Ahn and documented explanation of Ahn’s patriotic deeds and thoughts, are currently kept at the Korean Art Museum in Harbin and will be transferred to the Memorial Hall once it is open again. The sign informing about the patriotic deed by Ahn will be restored at the Platform No. 1 of the Harbin Station with the reopening of the Memorial Hall. Originally, the exact site, where Ahn shot dead Ito, was marked on the platform floor and there was also a sign that said, “The site where Ahn Jung-geun shot dead Hirobumi Ito” but they got removed with the reconstruction work at the station. The sign, however, could not be found when the station reopened in December last year, making people wonder if the sign might not be restored.